The redemption handstamp on this G1a imprint reads up, as is proper. 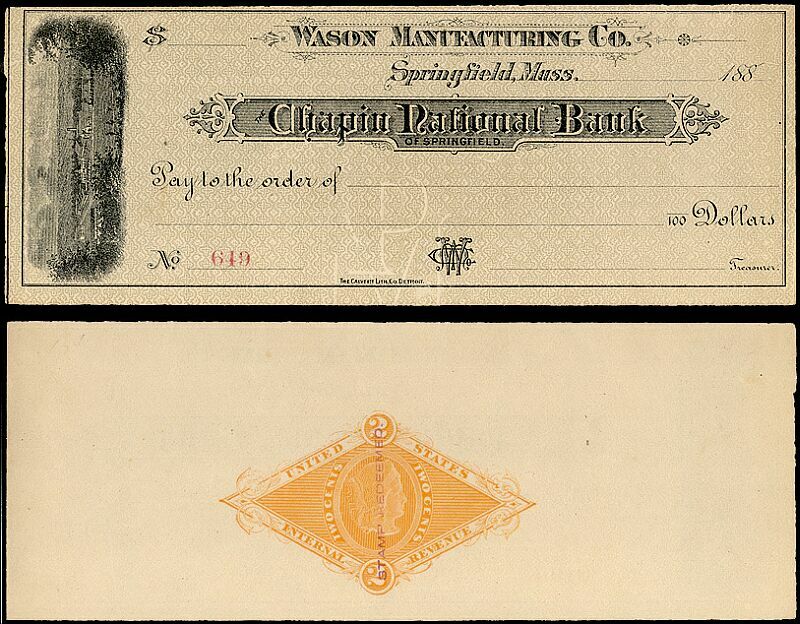 The redeemed handstamp on this check from Palmer, Massachusetts was applied horizontally. Indecision. The redeemed handstamps on this check from Helena, Montana read both up and down.